Clubs for older people in Harlow are springing up all over the town. Each club meets for 2 hours a week where we get to meet new people, make new friends, sit and chat, play games and enjoy each other's company. We also arrange a variety of events during the year including parties, day trips, river cruises and our famous Safe and Socials. For details of the clubs running so far and events here. 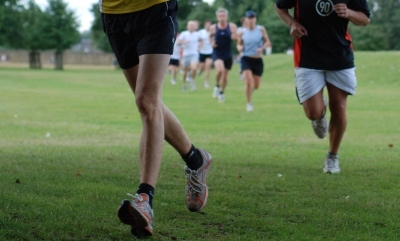 Harlow Parkrun is a 5km run - it's you against the clock. It is every Saturday at 9:00 am in Harlow Town Park, School Lane, Harlow, Essex, CM20 2QD. See the website for more information. If you would like Christian prayer for healing then please feel free to come to Harlow Healing Rooms on the first Friday of each month at The Gateway Centre, Perry Road, Harlow, CM18 7NR. For more information click here or email harlowhealingrooms@gmail.com. A register of mission activities in Harlow Churches.